Columbus Museum of Art (CMA) and Thurber House present Ronald Wimberly as the winner of the fifth annual Graphic Novelist Residency. Each year, a committee of local comic critics, curators, and creators seek graphic artists from outside Columbus who demonstrate an experimental approach to creating comics and graphic novels. 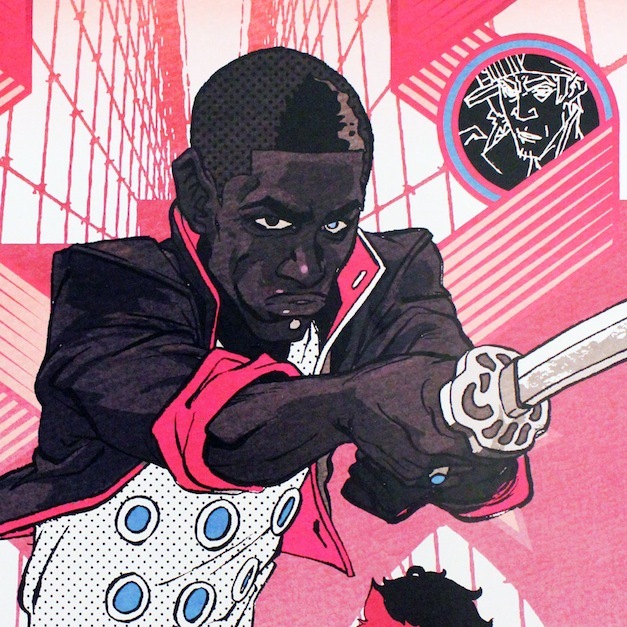 Ronald Wimberly is a graphic artist from Brooklyn whose work is known to combine traditional and experimental elements as well as bring attention to contemporary social issues. Referring to himself as a “graphic mixologist,” Wimberly has worked with a wide variety of media. He is the creator of the graphic novel Prince of Cats, a retelling of Romeo and Juliet set in a mythological version of New York City at the dawn of hip-hop that is completely written in iambic pentameter. In addition to illustrating multiple graphic novels, Wimberly has worked with notable comic publishers, such as Marvel and DC comics. Wimberly has animated characters for the Cartoon Network and has worked as a graphic designer for companies such as Nike, Mishka, and the Criterion Collection. His online comic Lighten Up gained widespread acclaim in 2015 and inspired important conversations about representation and editorial bias in the mainstream comics industry. He has announced two upcoming projects for Image: Sunset Park, a story about vampires and gentrification in Brooklyn, and Slave Punk, about 19th century inventors who are slaves in the American south. Wimberly will also be speaking at cXc, Cartoon Crossroads Columbus festival on October 16.